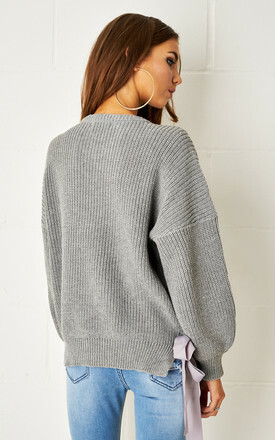 Frontrow always designs their collections with a twist and this 'Aurora' jumper is no exception. 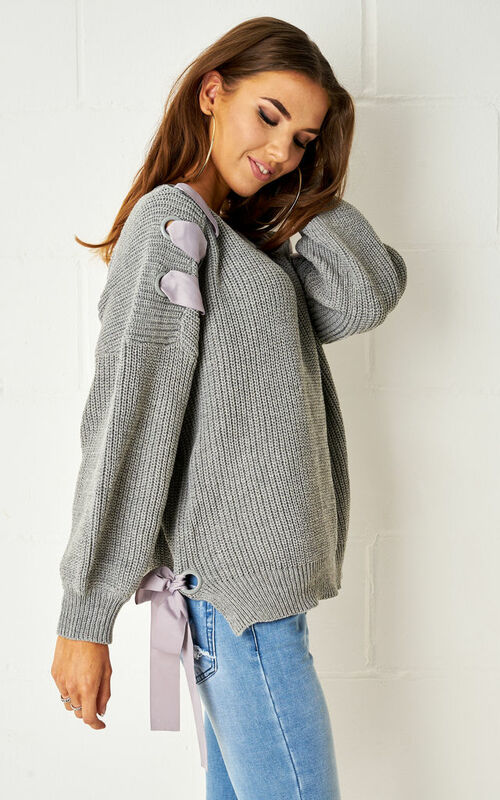 Made from a soft handle fabric and woven together in a mini cable-knit, this jumper is framed with tonal gros grain ribbon along the arms together with a self tie detail on the side hem. It features a wide crew neckline to balance the wide balloon effect arms. Wear yours with relaxed tailoring or denims.